What documents do I need to travel to Andorra? The Principality of Andorra does not require a VISA for any nationality. However, since you need to cross either Spain or France to reach Andorra, those citizens from countries that do not belong to the Schengen space should get more information about whether they need a entry or departure visa to reach Andorra. The type of visa varies depending on the country of which you are national, and can normally be either doble or multiple entry. What documents are required to enter Andorra if I’m an adult? 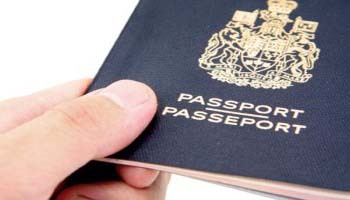 If you are an adult, you only are required to produce a passport or valid ID. What documents are necessary when children are travelling with their parents? A valid ID or passport, as well as well as Family Record Book are required. However, note that a Family Record Book alone is not a valid document to travel under any circumstance. What documents should produce underage travellers travelling by themselves? These kind of traveller does need an authorization to leave the country, that can be obtained in the town hall or local police, as well as DNI or ID, and valid passport. What documents should I have when travelling to Andorra with pets? To access Andorra with pets it’s required to have a passport, health card, and vaccination card. For further information, you can contact the Ministry of Foreign Affairs in www.mae.ad or in the phone: (+376) 875 704. Do I need an international driver’s license to drive in Andorra? An international driver’s license is not required in Andorra, as long as your visit is strictly touristic.